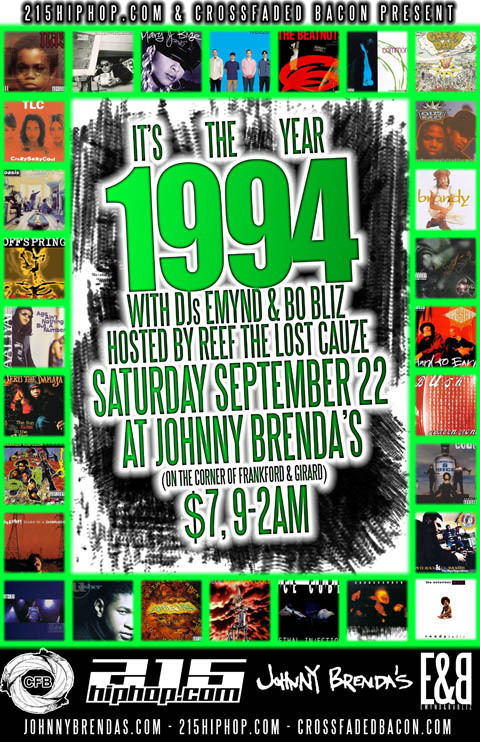 To all my Philly heads, do NOT forget that this Saturday, we are back again for another edition of It’s The Year this time bringing you all the 1994 goodness you can handle. If you’re not aware of our ongoing It’s The Year Parties with 215hiphop.com, it’s really simple: we pick a year and play ONLY SONGS FROM THAT YEAR. I put together a fun mix of classic bangers and original blends of songs from 1994 to help y’all get ready to party with us this Saturday. Check the Facebook Invite for more info on this Saturday’s party, otherwise, stream the mix above or download it for your mp3 device. See y’all Saturday and thanks again for all the support!